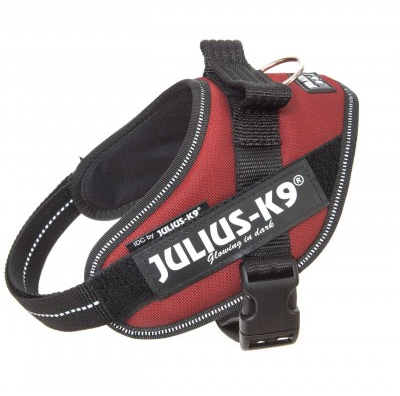 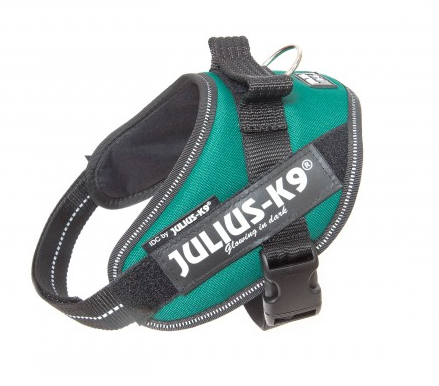 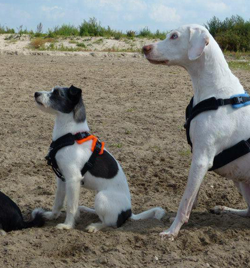 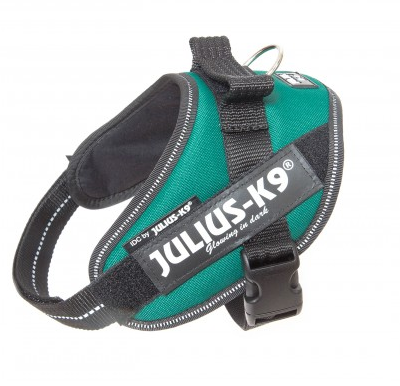 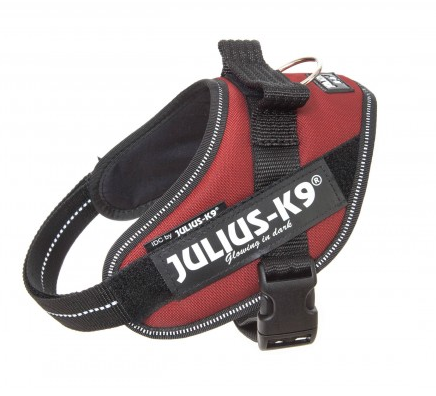 The IDC Dog Harness is an improved patented version of the original Julius K9 Harness. 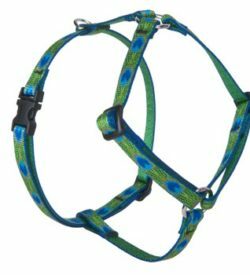 The frontal (horizontal) chest strap has been lowered about 30 degrees to follow the natural curves of the dogs chest, creating and anatomically perfected fit, hence the name Innova Dog Comfort or IDC. 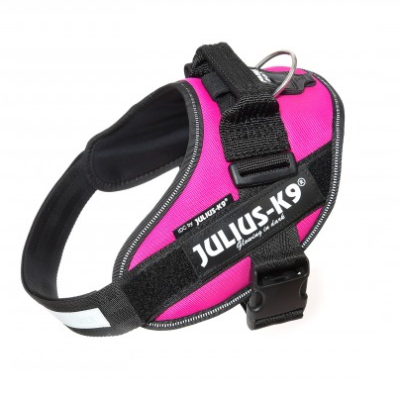 The Innova Dog Comfort (IDC) Powerharness is an improved patented version of the original Julius K9 Harness. 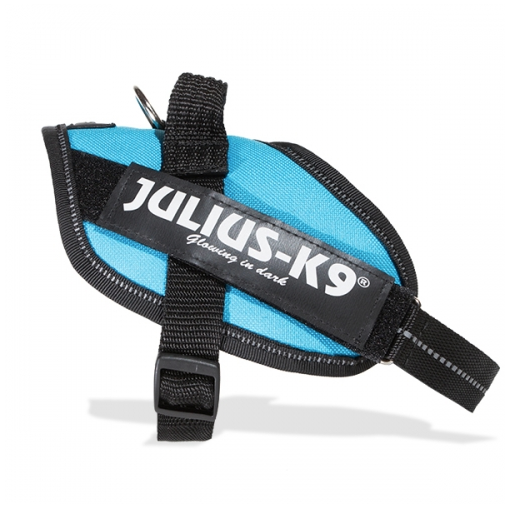 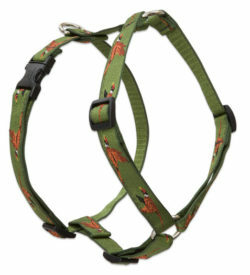 The frontal (horizontal) chest strap has been lowered about 30 degrees to follow the natural curves of the dogs chest, creating an anatomically perfected fit. The harness is padded with Ökotex, a breathable cotton that is gentle on the skin. The continuously adjustable chest and belly straps enable perfect fitting. The harness is fitted with reflectors, improving your dog’s visibility around roads at night. 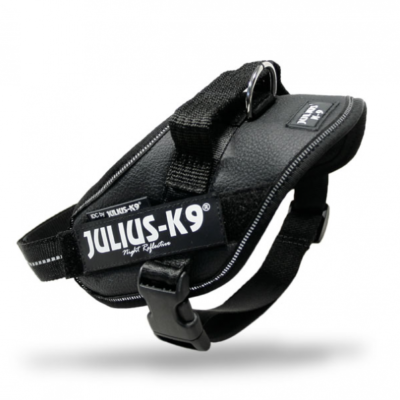 The back of the harness features an INOX® steel ring for the lead, which makes the harness much more comfortable than a conventional collar. 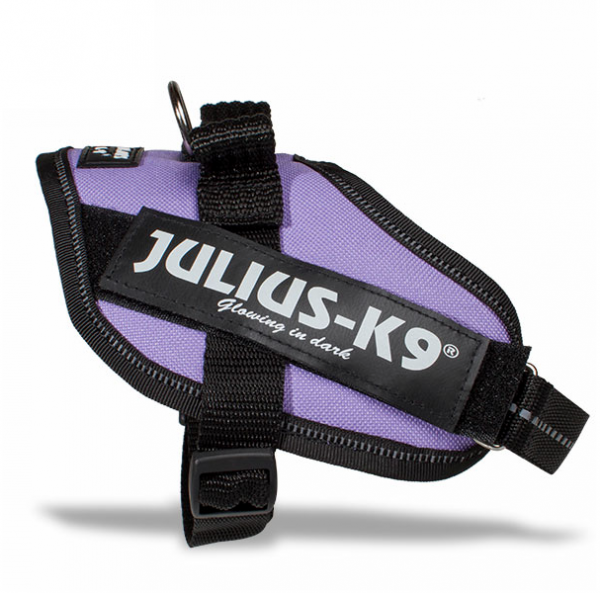 The back also features a handle (open and closes with Velcro) that enables you to lift or hold your dog for a short time. 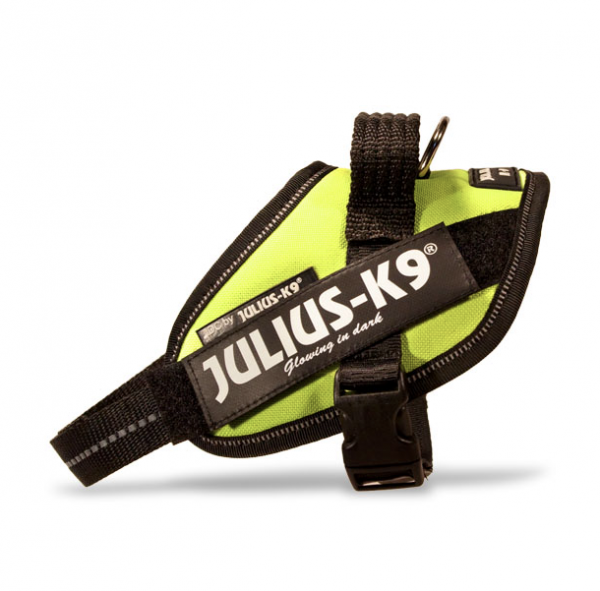 Key Features: Closure handle, Reflective edging, ECO-TEX skin friendly inner lining, Adjustable chest strap with reflector, INOX steel ring for lead, Heavy duty buckle.